When you own a vehicle in Lincolnton, NC, you expect it to get you where you need to go, safely and on-time. That’s why you pay particular attention to its upkeep. You are careful to make sure that everything functions correctly—from the engine, down to the tires, nothing is overlooked. When you notice that your tires are beginning to wear down, you want to replace them as quickly as possible in order to prevent any uncomfortable situations, such as flat tires on the side of the road. When you are searching for new tires, you want tires that are of superior quality, durable and friendly to your pocketbook. 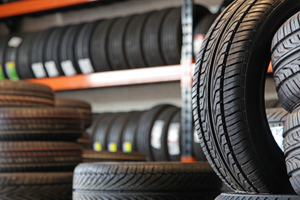 At Country Town Tire & Auto Service Center, we carry a wide variety of tires for you to choose from. One of our top tire brands is National Tires. National Tires manufactures passenger, SUV, commercial, farm and specialty tires. They are dedicated to providing quality tires that perform well at an affordable price. National tires are designed to perform well both on and off-road, at all times of the year. It’s no wonder that their slogan is “Where Value Meets the Road.” Since this company has been around for over 80 years, you can rest assured that when you choose National Tires, you are getting high-quality tires at a fair price. 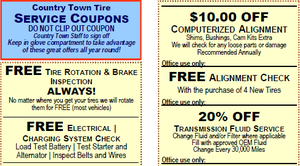 If you are ready for a new set of tires for your vehicle, come in and see us today. We can assist you in selecting the tires that will provide you with the most satisfaction. Once you’ve selected your favorite tires, we can assist you with the installation, balancing, rotation and any other tire services you require. We are committed to providing you with the best in quality and service.